If our technician(s) smoke, swear, are not drug free, do not wear medical shoe covers, or leave your home without cleaning up, you do not pay for the service. If a repair fails during the same season, we will repair it again absolutely free! All recommended work must be performed at time of servicing system. 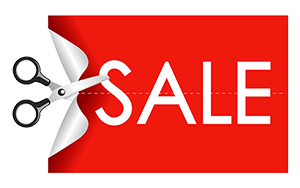 This guarantee excludes minor repairs, consumable items such as filters etc., adjusting services and cleaning services. 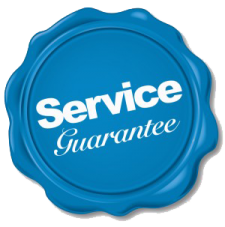 * This guarantee excludes consumable items such as filters, etc., adjusting services and cleaning services. Annual servicing of systems is required as recommended by manufacturer. You will save the amount promised, or we will refund double the difference of savings not realized for the first year. If your system breaks down within the first two years, leaving you without heating or cooling, for more than 24 hours, we will pay you $500 for your inconvenience. We know your time is valuable so if your system is not operating by the promised date we will pay you $500 for your inconvenience. When you invest in a high-efficiency air filter, if your indoor system needs cleaning in the first 10 years, we will clean your indoor coil at no charge. The system(s) installed in your home will heat and cool your home to your satisfaction or it will be replaced at no charge. * Certain guarantees are only offered for selected products. ** These guarantees are available with selected heating and air systems. Call us today for your free energy evaluation and estimate!